Searching for Aesthetics, Jacksonville? Then look no further than the Burgess Center for Cosmetic Dentistry for the latest facial treatments used to reverse those unwanted signs of aging. Popular aesthetics, such as BOTOX and dermal fillers, can be used to further enhance your facial profile as a complement to your investment in porcelain veneers, invisible braces, ceramic crowns and other corrective dental procedures. We offer several cosmetic treatments that can literally turn back the time and reverse the effects of wrinkles, sagging skin and loss of collagen. After all, improving your personal appearance is not about vanity, it's all about feeling younger and boosting your self-confidence. BOTOX is used to reduce the affects of wrinkles around the eyes, lips, cheeks, and forehead. As we age, skin damage caused by squinting, frowning and overexposure to the sun, causes a loss of skin tone and facial symmetry. Dr. Burgess can use BOTOX treatments to safely restore a more natural appearance to your face. BOTOX injections provide immediate results that typically last for three to six months. Dermal fillers, such as Juvederm, can be used to enhance or restore a youthful contour to all areas of your face and neck. Hyaluronic acid-based dermal fillers are naturally occurring gels that Dr. Burgess can inject to lift and smooth wrinkles around your mouth, nose and other facial areas. Since cosmetic fillers can be used to restore collagen loss, dermal fillers are ideal for adding definition to the lips by sculpting the lip line. Chemical peels can be used to improve sun damage, acne scarring, skin pigmentation, fine wrinkles and a variety of skin conditions such as acne-prone skin and clogged pores. Our glycolic peels are topically applied to revitalize your skin by creating a controlled shedding of dead facial skin. The fresh layers of natural skin provide a smoother skin texture for a more youthful appearance. Revitalizing facials are used to deep cleanse and exfoliate the outer layers of dead skin as well as providing a relaxing massage for your facial muscles. Various facials can be adapted to suit a patient's specific needs for acne-prone, dry, oily, sensitive or sun damaged skin. The effect of a facial mask treatment can be revitalizing, rejuvenating and refreshing. Microdermabrasion is a mild exfoliation procedure used to remove superficial skin imperfections, like mild scars, wrinkles, age spots, blemishes and enlarged pores. If your skin has lost its youthful glow, microdermabrasion may be an option worth considering to remove dead skin cells. The mild abrasives used during the aesthetic procedure invigorate and smooth your skin for a more youthful look. Non-surgical aesthetics cannot give you a new face but they can be used to restore the natural beauty to your face and skin. How much or how little change is realized depends upon your individual goals for electing to have cosmetic procedures. Your age, health condition, skin texture, bone structure and natural healing capacity also play a major role in the results achieved from your elected aesthetics. Lifestyle issues and personal habits, such as smoking, drug abuse or alcohol consumption, are all factors that may affect the results of your cosmetic dental and facial procedures. 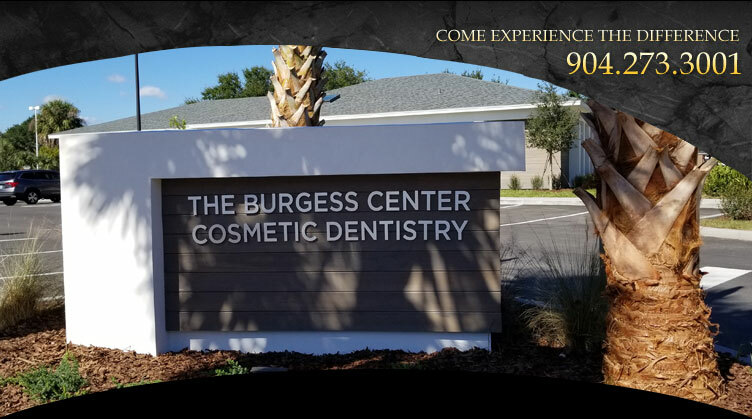 To have your questions answered, call the Burgess Center for Cosmetic Dentistry today at (904) 273-3001 to schedule your consultation with Dr. Eric Burgess. You will be glad you did.